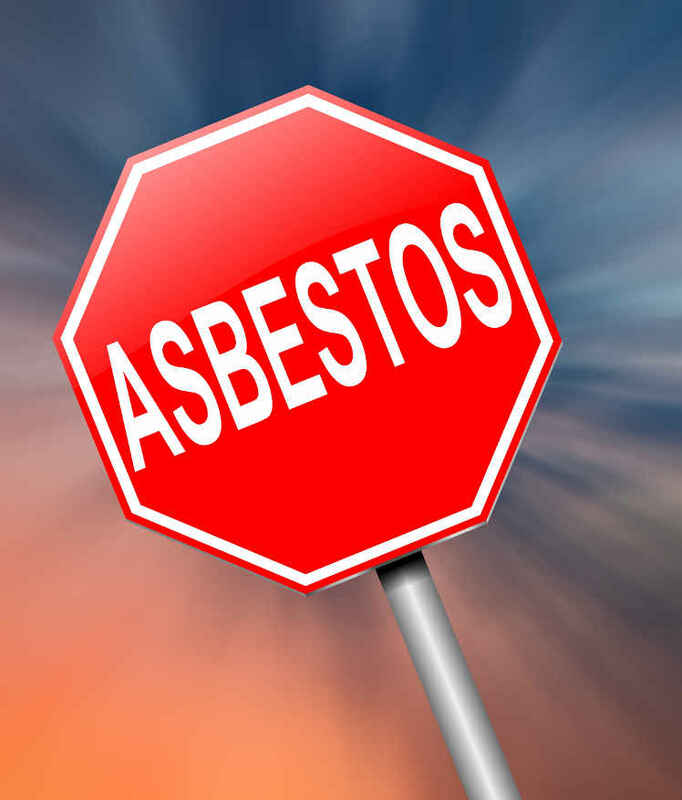 Asbestos RemovalAsbestos removal is a complex process that should only be undertaken by qualified companies only. Based in Wollongong, D&N provide Class-B licensed asbestos removal services all across the Illawarra, Sydney, Central Coast and South Coast areas. 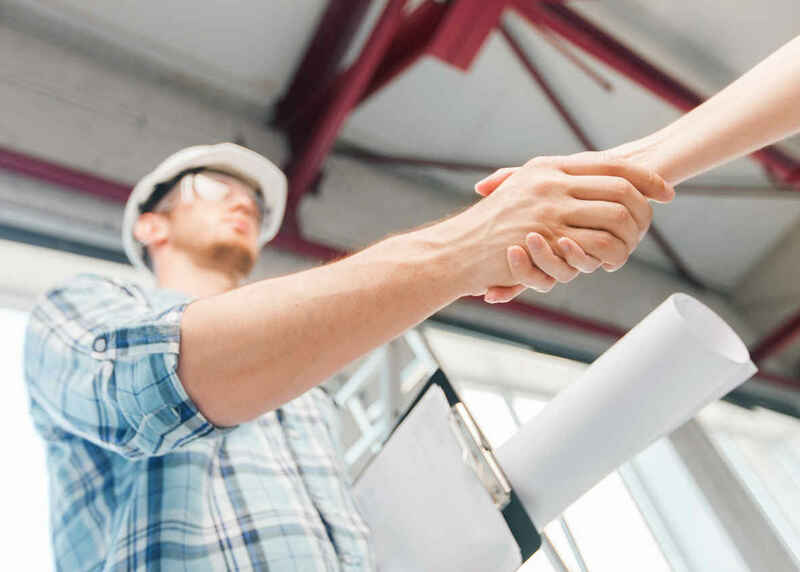 From minor renovations to complete building demolitions, we are the licensed professionals you need to ensure safe, legal and efficient asbestos removal. D&N are 100% committed to planning thoroughly and minimising risk. 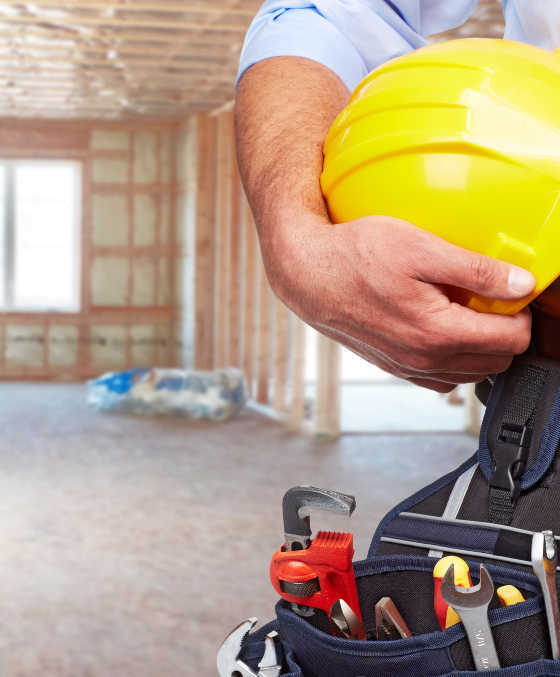 So if you want to ensure that your renovation or demolition project is carried out to the highest possible safety standards, contact D&N Asbestos Removal today! Even if your home or building includes asbestos-containing materials (ACMs), you aren’t automatically at risk. In fact, where ACMs are in good condition (undamaged and free of noticeable wear), it’s usually safer to leave them undisturbed. This allows the asbestos fibres to stay safely bonded within the material, rather than being dispersed into the air. 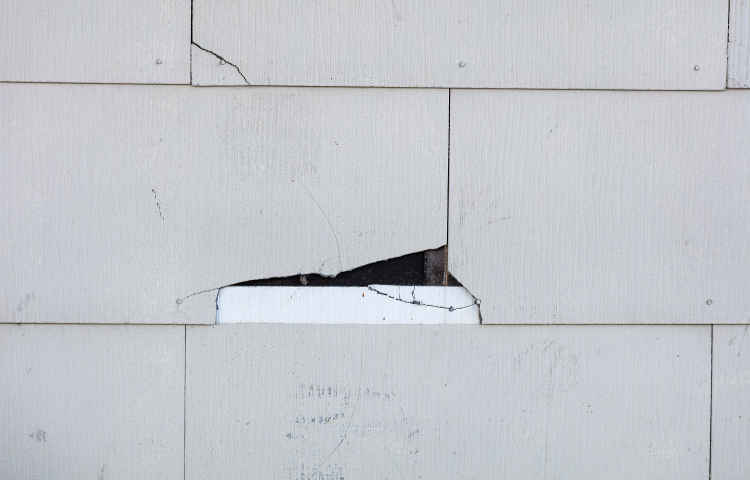 Severe weather and accidental impact are common causes of unintentional damage to asbestos-containing materials. Natural disasters are one likely cause, but less dramatic events may also pose a risk. For example, a piece of shed roofing comes loose during a storm, or an outdoor toy finds its way through an indoor wall. In the case of major emergencies, such as bushfire or cyclone, state disaster relief is likely to cover asbestos removal. For more minor events, you may need to engage a licensed asbestos removal specialist. Fortunately, D&N Asbestos Removal & Demolitions have the expertise to deal with any asbestos removal job, large or small. DIY renovations are a popular, affordable way to beautify your home. However, if you damage asbestos-containing materials in the process, you create a very dangerous situation! Only a licensed asbestos removal person can safely contain and dispose of ACMs without significant risk to everybody who spends time in or near your property. 40% reported asbestos exposure for their children! No matter how special your dream home is, that’s way too high a price! If you are renovating, don’t start work without assessing your asbestos risk, and planning for safe removal. Remember, if your house pre-dates the 1990s it is highly likely to contain asbestos products. If you are in doubt, assuming that asbestos is present is the only way to avoid unnecessary danger. Alternatively, a licensed asbestos removal team can inspection your property and/or schedule a lab sample test. Even if you aren’t doing major work, remember that DIY repairs can also be a risk. This includes drilling, cutting, sanding, and most other types of work typically done around the house. So if you need to perform any DIY work that may pose an asbestos risk, it’s much safer to call for a licensed asbestos removal professional. Needless to say, all demolitions involve extreme damage to building materials. If those materials contain any asbestos, such damage is almost certain to release dangerous fibres into the air. With such a high risk, there are severe penalties for unsafe asbestos handling during demolitions, particularly for commercial parties. If there is a risk of asbestos exposure, then a licensed asbestos removal expert is essential to a safe and legal demolition process. D&N Asbestos Removal & Demolitions are experts in all aspects of demolitions, including the safe containment and disposal of ACMs. 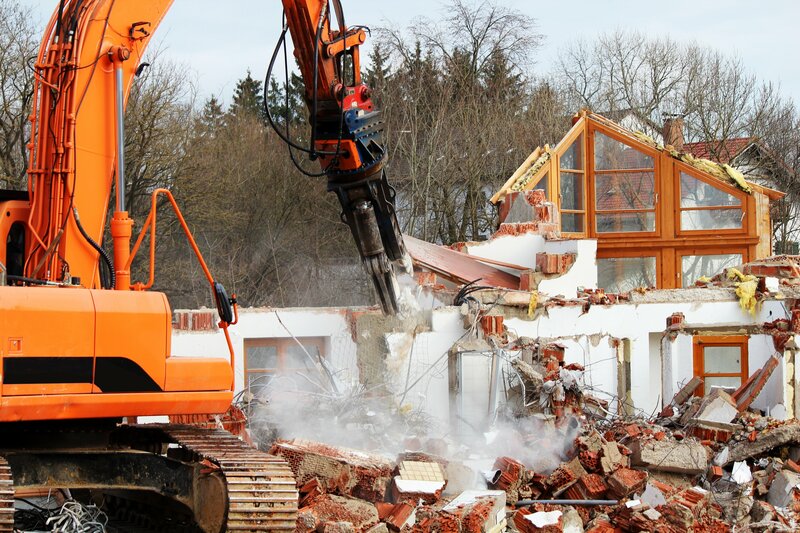 From planning to cleanup, we are certified to make the demolition process as safe as possible. Contact us today to find out more about our asbestos-safe demolition process. Remember that failing to properly contain asbestos has disastrous consequences. It’s not just yourself and your family, but your whole community you could be putting at risk! Not to mention the severe fines you will be facing if you don’t take the required measures to avoid contamination. As a property owner, it’s your responsibility to ensure that you have any dangerous asbestos in your building safely removed. Don’t assume that unknown materials are safe. Don’t try to handle damaged asbestos yourself. Don’t wait until after the damage is done. There really is no reason to take the risk. Contact D&N Asbestos Removal & Demolitions before you start work, and start your project off on the right foot! You can count on us to keep your asbestos removal process safe, legal and hassle-free. Call the experts! Call D&N Asbestos Removal & Demolitions.